When nature calls for a big snow storm, enjoy it with your kids. If you are living in the northeast region of the US, there is a great deal of snow outside. Hopefully you can work from home or take the day off when a really big snow storm hits. Have some fun with the kids! They will remember this time with their parents. Play board games and/or watch a favorite movie – Monopoly? “Frozen” anyone? 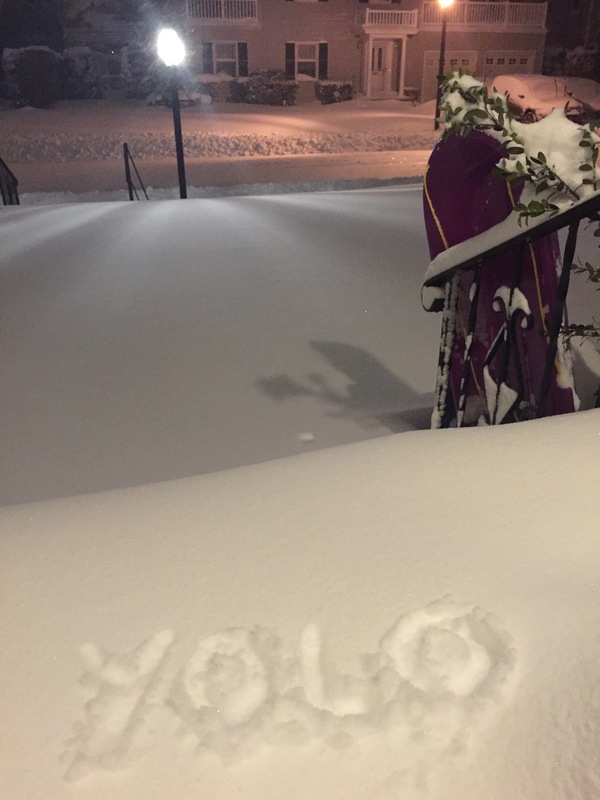 YOLO (You Only Live Once) – have fun! Family and “me” time vacations are important to help you recharge your batteries. Between the holidays and our end of the year family vacation, I took a bit of a longer break from writing posts. Vacations are an important way for people to relax and recharge their batteries. 1- Quality Family Time: School, work, after school activities keep us so busy that we don’t get to spend quality time with the family. Be present and shut off those electronic gadgets to create some lasting memories on your family vacation. 2- It Destresses You: It allows us to take a break from the everyday stresses of life. I remember reading somewhere that “Stress is related to 99% of all illness.” So relax, catch up on sleep and exercise a bit more (going for long walks count too). 3- “Me” Time: While family time is important so is “me” time – girlfriend weekend getaway anyone? A weekend of sharing, laughing, eating, drinking and focusing on ourselves and not our family can be very reenergizing. This is important for guys too; everyone can use a break. 4- Exploring New Places Is Fun: You can also have a “staycation” and explore places which are not too far from home. This past weekend, we decided to go on a BA (I just made that up) – Brooklyn Adventure (BA). We walked on the promenade in Brooklyn Heights, asked the girls to identify NYC landmarks and had a delicious pizza lunch at Dellarocco. Keep in mind, vacations dont have to be 1-2 weeks at a stretch, a 3 day escape from your daily routine can refresh your mind and body too. So what is the parenting life lesson here? Parenting is hard work! 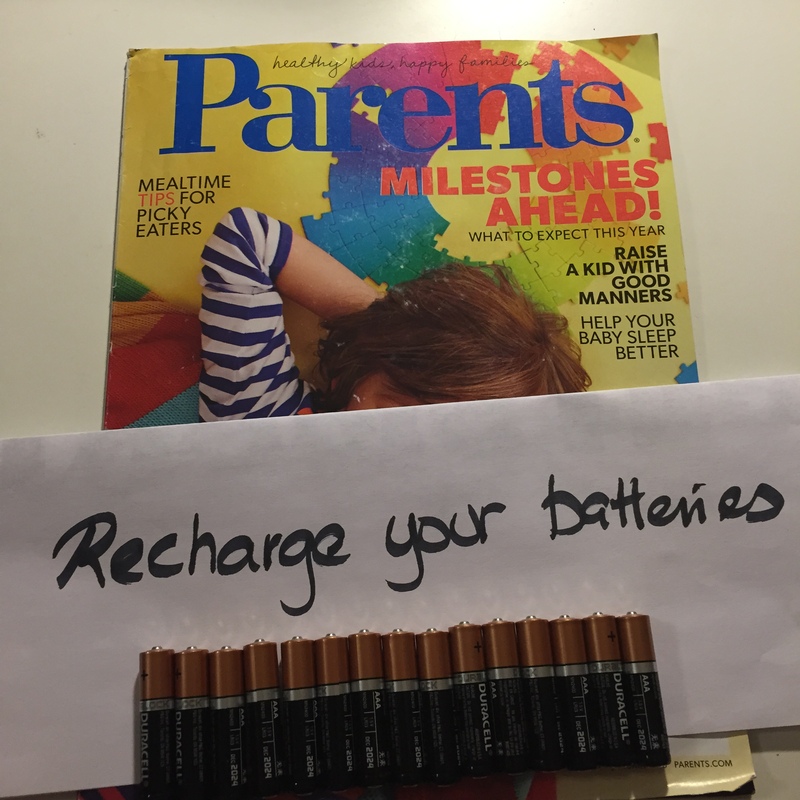 Take some time off/vacation to recharge your batteries to help you with the ups and downs of the wonderful parenting “rollercoaster” and enjoy life!